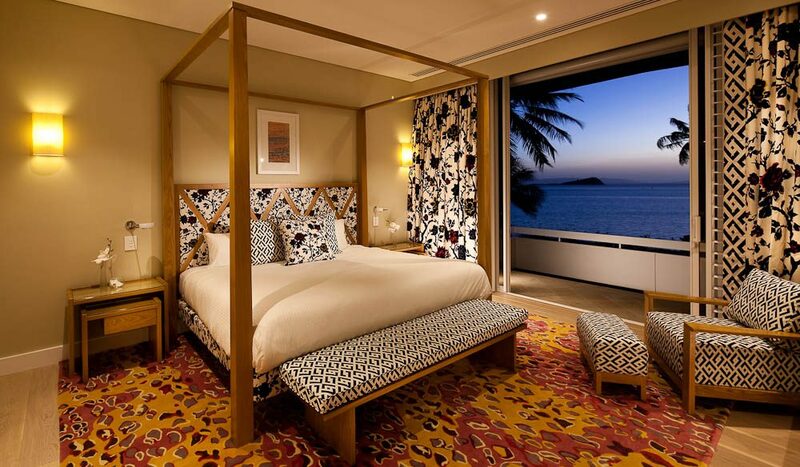 Master bedroom: Diane von Furstenberg designed DVF Penthouse on Hayman Island. 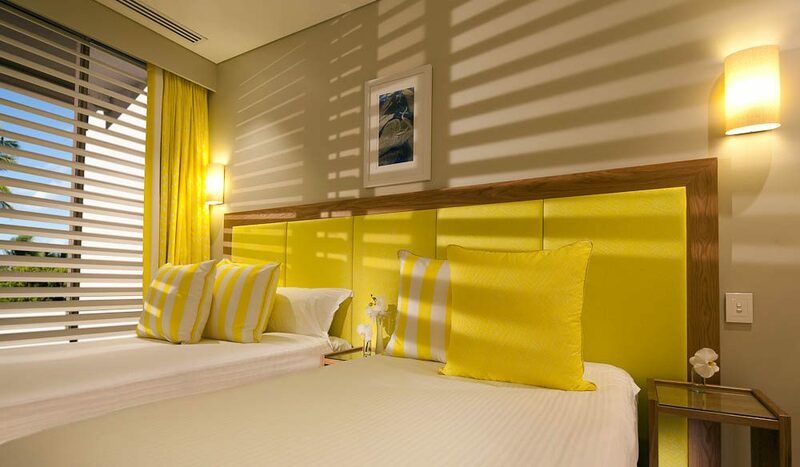 A magazine catering to private jet owners has named a Hayman Island penthouse in its top ‘101 suites in the world’ list. The private island’s DVF Penthouse was the only Australian suite to feature on the US-based Elite Traveler (sic) magazine’s ‘unnumbered’ list. 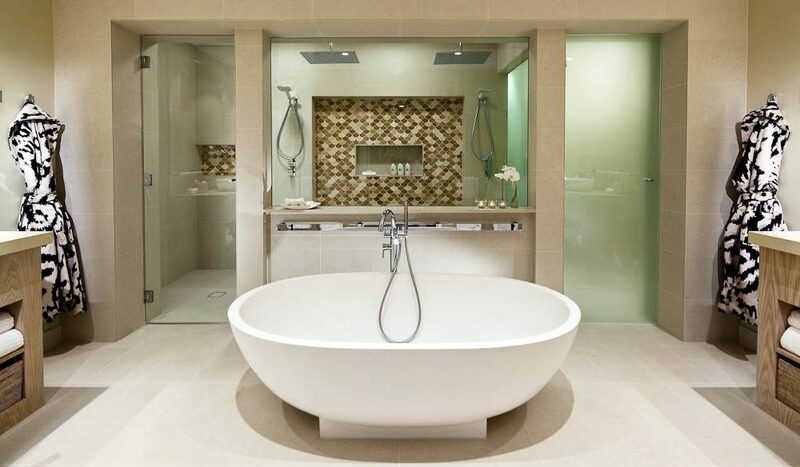 The two-bedroom, two-bathroom suite was designed by fashion designer Diane von Furstenberg (hence DVF). 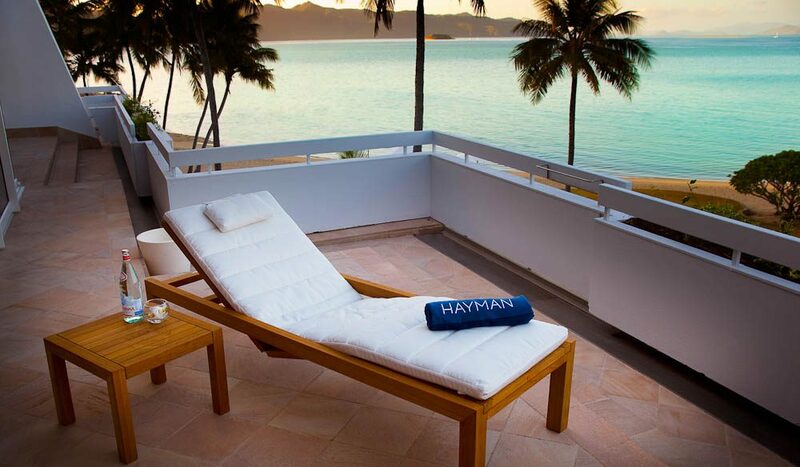 Elite Traveler magazine said the penthouse made the list because “from runway to resort, von Furstenberg has imbued her eponymous island abode, added to Hayman’s room repertoire, with bold style. London featured most prominently on the top 101 with six properties making it, including the Royal Suite at the InterContinental London Park Lane (about £16,440 per night). The magazine’s concurrently running ‘Coolest 10 Suites in the World’ was topped by The Bentley Suite at The St Regis Hotel, New York ($11,350 per night), apparently a favourite with tennis champion Serena Williams. According to Elite Traveler’s travel editor, Tova Syrowicz, its list is not all about high premiums.